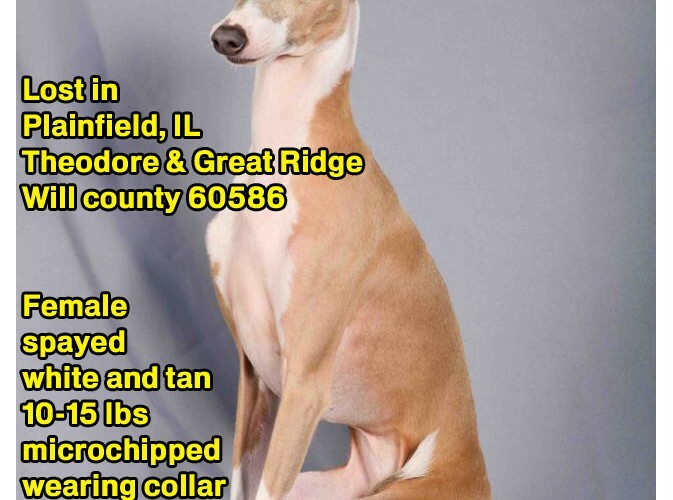 She is a friendly female Italian Greyhound IG Iggy. 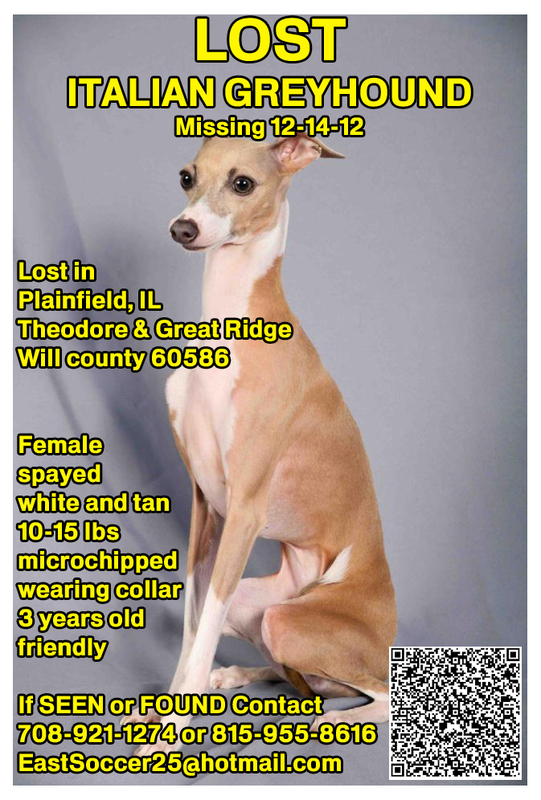 She is spayed, white and tan in color, 10-15 lbs, microchipped, wearing a collar and 3 years old. If spotted / found / picked up please contact the number below immediately! Her family misses her! UPDATE: Iggy was found deceased. May she rest in peace and our thoughts/prayers are with her family during this tough time.